A Roman soldier, Martin, comes across an old man, in what is now France in the cold of winter, who appears in front of him begging. The kind Roman soldier, who was required to pay for half of his Roman Cloak, decided to offer his own half to the cold and needy old man. 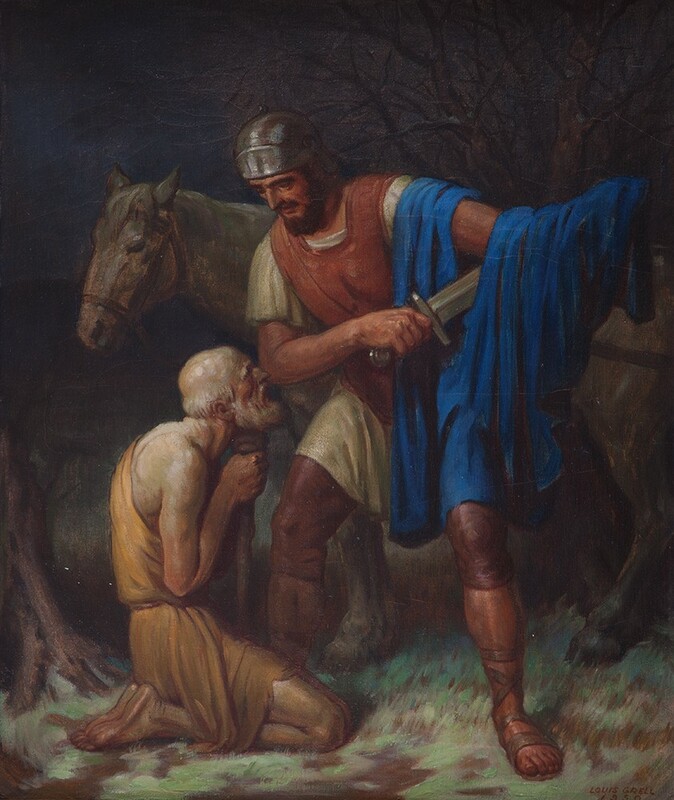 Shown here by Grell, Martin cutting his cloak in half with his sword and giving his half of his cloak to the old man. That night, Martin dreamed of Jesus wearing his cloak. There is a St. Martin Day in France.